The new Epiphone SG-Special VE is a great way for players to discover a rock classic or obtain a stage-ready touring standby at a price anyone can afford. Featuring Epiphone open-coil humbuckers with Ceramic Magnets and available in five beautiful Vintage Worn finishes including Cherry, Ebony, Heritage Cherry Sunburst, Vintage Sunburst, and Walnut, this is the SG Special VC! 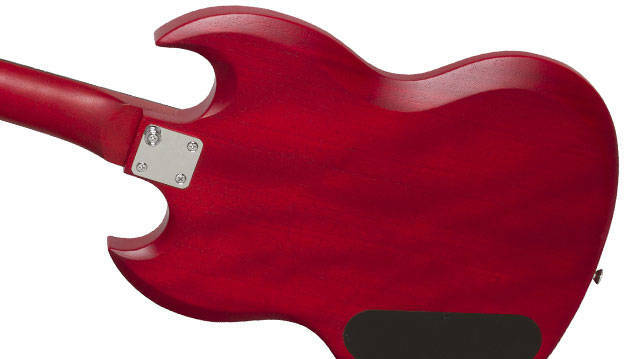 The SG-Special VE is powered by two Epiphone open-coil humbuckers with ceramic magnets. Owners of vintage SGs and Les Pauls often remove their pickup covers for a better bass response and magnetic pull. Ceramic pickups have a higher output than vintage Alnico magnet pickups and are designed to provide a tight low-end response with both a smooth mid-range and a slightly more pronounced top end tone. Ceramic magnets have been a favorite of metal and hard rock guitarists for decades. The SG-Special VE has a 650R in the rhythm position and a slightly hotter 700T in the lead position. 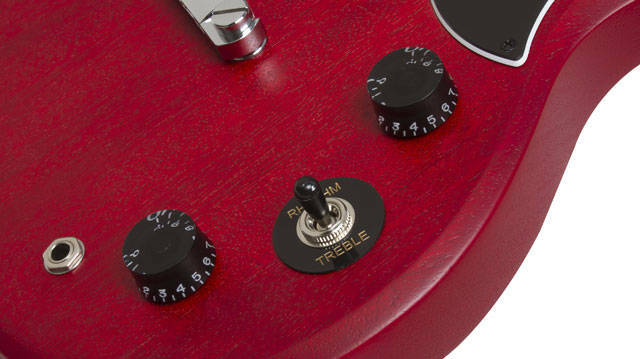 Controls include a Master Volume and Master Tone with traditional black Speed knobs and a 3-way pickup selector. I personally really liked this guitar in terms of features, and even though it doesn't have all the features that a standard Gibson SG model would have, it's good quality for its price. It plays great and stays in tune really well, I would recommend for anyone starting guitar on a tight budget. Fantastic neck profile, slimmer than the LP VE but provides enough padding. The neck also has a nice satin feel which is a huge bonus in my books. The body looks like it will show some nice aging which to me is great. Tuners hold strong, nut is a little high (but you find this on MOST guitars), humbuckers sound great under distortion (garbage clean but this is to be expected), fretwork is "meh" but medium-high action shouldn't be an impediment to fast playing, frets weren't polished making them more difficult than need be to bend, fretboard felt sticky. Overall, this guitar seems like a perfect guitar both for the beginner and intermediate. I ordered this guitar for my son for Christmas. I mistakenly trusted the Epiphone. The over all quality for this guitar barely rivals that of a $50 toy store guitar. The neck is so weak the guitar audibly de-tunes if you move the guitar while playing. Worse that frets are so poorly fitted and roughly cut my son actually cut a finger on a fret edge. The tuners are awful. They slip and jump when turning. They will not hold tune either. I thought I was buying a budget guitar. What bought was cheap junk. If I lived anywhere close to a store I would returned the guitar.